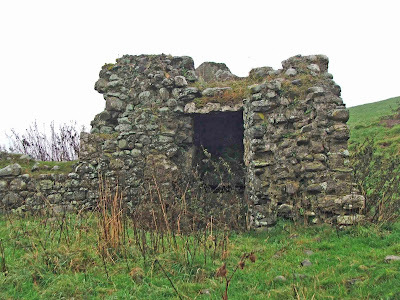 The remains of Cappelside Hall are situated about 400 yards West of Beethom garden centre, just off the A6. The ruins sit in the middle of a field looking south across the valley towards the paper mill. The site consist of substantial masonry and earthwork remains. The earliest documentary reference to the area of Cappelside is in 1336, whilst it is not until much later, 1691, before the hall is documented. The buildings may have already have been abandoned by this time. Records from around 1760 describe the site as a large lordly residence, consisting of a central hall with two service wings to a height of three storeys. 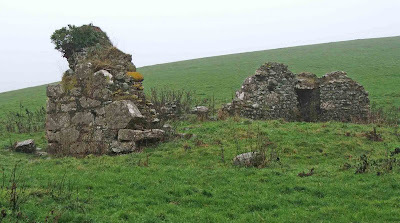 The buildings were largely destroyed during the 18th century but one of the wings was converted to a barn, but was in ruins by the 19th century. 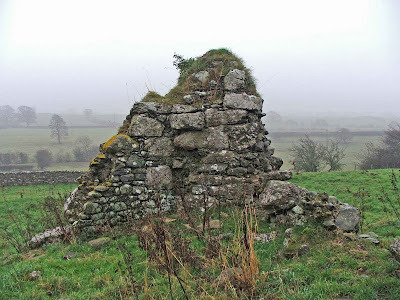 It is a fragment of this structure that survives today, nearly 2 metres high and with walls up to a metre thick. There is documentary evidence to suggest that the Hilton family owned and lived at the hall in its heyday. And it was this hall, owned at that time by Andrew Hilton, that King James I ordered his troops to search whilst looking for Guy Fawkes sympathisers and co-conspirators!! It is obvious from the photos that the site is now much ruined, although the remains are certainly solid enough to suggest its defensive qualities, and the surrounding earthworks lay testament to the original size of the site. The remains are difficult to get to. 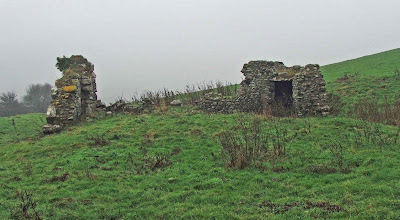 From the road running alongside the garden centre at Beethom, Pool Darkin Lane, it is apparently possible to see them in the field to your left, though I parked up on Paradise Lane, and then walked across the fields to get a first hand view of the ruins.